Learn to enoy a beautiful new world through SCUBA diving. 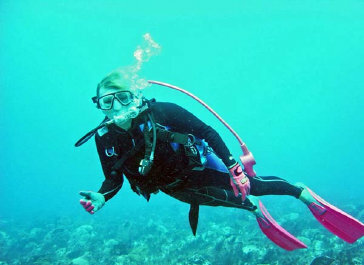 Becoming a SCUBA diver is challenging and fun. During the 3-4 week program, you are in the company of a group of exciting and similarly inclined people, oceanographers, marine scientist and you will be given the chance to earn, expericance the thrill of SCUBA diving. 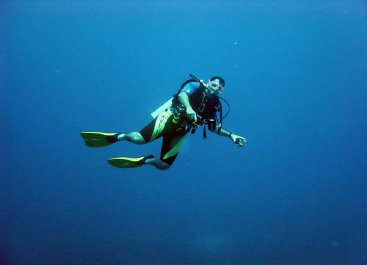 Upon successful completion of this course, you will be eligible to do the open water dives. The PADI open-water scuba diver course is an entry level scuba diving course consisting of classroom and pool instruction, open water dives; must be a good swimmer and have Doctor's note. Classroom material is basic physics, physiology, envirenment, dive tables, dive planning, diver safety, homework tests and final. the pool followed by lecture basic maritime pool. Upon success full completion of classroom and pool. The student is eligible to take their 4 open water dives over two days at the local beach. Upon successful completion the student will received, a PADI International certifiecation card. *-Medical Statement and physician approval for diving. Retnal Equipment $35 includes Regulator, BCD, 1 - 80cu aluminum tank, Wetsuit, up to 25lbs. weight.